Visiting Louisiana can feel like visiting a foreign country. The food, the music, the architecture, even the accents all seem so… different. Especially when compared to the rest of America. Most people visit New Orleans as their first introduction to the Bayou State. And for good reason. It’s the cultural capital of the South and adventures await around every corner. From stately plantations to eerie bayous, there are experiences to be had in indoors and out. Here are ten adventure ideas to make sure you get the most out of your trip to the Big Easy. Follow this list and you’ll definitely collect some enviable stories (and Instagram posts). Get to know its past. The city of New Orleans—and the entire state of Louisiana—have had quite the history. Visit museums, hear stories, and immerse yourself in the lore and legend. Get scared. The crazy tales of Greater New Orleans include their share of ghost stories. Think spooky above-ground cemeteries, a Civil War-era plantation, and the voodoo of Marie Laveau. Find a tour—or just a good local storyteller—and see if you get goosebumps. Get on your feet! The music scene in New Orleans is unbeatable. Jazz, blues, zydeco, country—no matter the tune, someone’s always dancing. Jump on your feet, grab a partner, or swing it solo. Find live music in concert venues, music halls, bars, and even right on the corner of French Quarter streets. Get spicy. Creole and Cajun cultures boast some flavorful—and famously spicy—cuisine. Eat your way through this delicious blend of cultures. Make sure to try the jambalaya, gumbo, and po’boys—and devour all the fresh seafood you can. Get a sweet tooth. If you don’t think spice is nice, you can get it sweet as well. Beignets are a delicious, must-taste treat. Served with coffee and doused with powdered sugar, they’re perfect for breakfast. But we recommend enjoying them morning, noon, AND night. Get a little wild. No trip to Louisiana is complete without experiencing its unique landscapes and waterways. We are the Bayou State after all! Sure, you could see some of it while driving over our many bridges. But nothing compares to speeding through them in an airboat. Imagine seeing alligators perched on logs and cypress trees dripping with moss. Intrigued? Airboat Adventures is just the place to make that happen. It’s easy to add an authentic bayou experience to your New Orleans vacation. Airboat Adventures will pick you up right from your hotel. Tours happen throughout the day, every day, year-round. Experience the flora, fauna, and scenery of the REAL Louisiana. It’s the perfect addition to your New Orleans vacation! But don’t take our word for it! Read what other visitors have to say about this once-in-a-lifetime thrill. Book online or call us at 504-689-2005. There are certainly plenty of reasons to go on a swamp tour in New Orleans. It’s an adventure in every sense of the word. If you’re looking for something to do in New Orleans that has nothing to do with Bourbon Street or drinking (not that we’re judging), then Airboat Adventures is the right choice. Without further ado, here are 5 reasons why Airboat Adventures is the best swamp tour in New Orleans. Airboat Adventures’ physical location is extremely close to New Orleans, some would even say it’s in New Orleans. These airboats run through swamps right outside Jean Lafitte National Historical Park. Due to how close it is, Airboat Adventures even supplies transport to and from our location. Yeah, that seems like a weird answer. But, when you have an albino alligator on the premises, what else do you name her? Sugar is the albino alligator we keep on the grounds of Airboat Adventures. She’s a crowd favorite and the kids are always awed by her. You can book an Airboat Adventures ride today in just a matter of minutes. Using our online booking or by calling in, you can find availability and book your seats within minutes. You can even arrange to be picked up at your hotel if need be. Don’t wait, book now! At Airboat Adventures, you’re not going to have seasonal workers working as guides. Our Cajun boys are employed full-time as swamp tour guides. They’ll show you what a swamp tour really looks like. We’ve been doing this for a long time. We know what our customers like and don’t like because we’ve seen it all. More importantly, we believe we offer the experience of all the business operating a swamp tour in New Orleans. Enough reasons for you? If not, we’ve got more. Just call us and we can explain exactly what separates us from others. Visitors and Locals All Welcome! Airboat Adventures offers swamp tours that are for everyone. Want to know why? It’s because no matter where you’re from, if it’s your first swamp tour or your tenth, our swamp rides are thrilling, gorgeous, accommodating, novel, affordable and most of all, jaw-dropping! Locals, if you are looking to spice up your weekend routine with a fun excursion outside the boundaries of your city and comfort zone, grab a group of your friends and take a swamp ride with us! Visitors, make sure to include our swamp rides on your list of “things to do while in New Orleans”. Want to know why you want to encounter the creatures of the swamp with Airboat Adventures? Keep reading below! If you think that you have a pretty backyard, you should see ours. We sit on 20,000 acres of tidewater cypress swamp that is home to an eclectic group of plant and animal species. 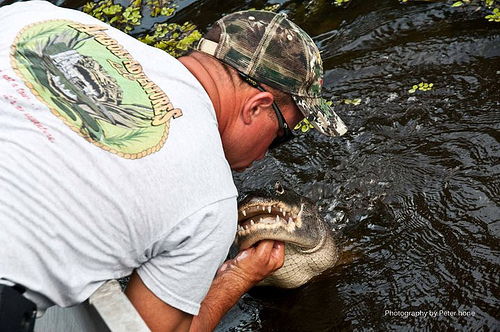 You may just be expecting to see a few alligators on your swamp tour, right? That is most certainly not true. Our swamp rides give customers the chance to see snakes, turtles, egrets, herons, racoons, hawks, bald eagles, ibis, and more! Whatever kind of creature likes the swamp, you can hope to see it on our swamp rides. Not to mention, our swamp has some of the largest alligators around town! You can see alligators up to seventeen feet! There is nothing better than experiencing the creatures that are so near and dear to Louisiana swamps with your friends and family. We get this question a lot – “Who are our swamp guides?”. When people ask us, it almost sounds like “So who are we trusting our lives with while getting up close and personal with seventeen-foot alligators?”. We always tell our customers that you shouldn’t have a worry in the world when it comes to your swamp guide, because you could honestly not be in better hands. Your one-of-a-kind swamp ride guides are cajun boys at heart and by birth, with a love of all things outdoors. They each have a deep appreciation and knowledge of Louisiana’s unique environment and will be able to answer any and all questions you have. All of our swamp guides are certified by the U.S. Coast Guard and are qualified to make sure you have the best time of your life! Don’t Miss Out On This Once in A Lifetime Adventure! Call Us Today. Come one, come all, for an adventure of a lifetime with Airboat Adventures. If you have questions about party size accommodations, pricing, location, or anything else please don’t hesitate to call us at 504-689-2005 or contact us here. We get a lot of interest in New Orleans swamp tours during the summer months. This is natural, as there are more tourists in New Orleans during this period due to summer vacations and the like. However, many people have questions too. Here are a few that we regularly get in summer months. No. Remember, you won’t just be sitting in the exposed sun. You’ll be riding on a high-powered, high-speed, fan-powered, boat. That creates a lot of air movement. Combine that will the water and the shade you’ll occasionally go under, and it won’t be too warm. Yes, you’re in a swamp, so you should expect some heat. You’ll want a shower afterward. But, it’s a great time and the summer is still a great time for this tour. Will the alligators be out? Absolutely! Alligators are cold-blooded, but they do not mind the heat. In fact, they seem to enjoy it. You can often see them on our tours basking just outside the water in the sun. You’ll see plenty of alligators during the summer swamp tours with Airboat Adventures. New Orleans Swamp Tours can be a real mystery to many people before they go on one. They know to expect adventure, but they’re not sure what kind! In the summer, we suggest you dress light. A bathing suit and t-shirt would be a good idea for men, and shorts and a light top would be ideal for women. Something that will dry quickly, because we are on the water after all. Great question! You should bring bug spray, you should hydrate before you attend, and you should bring a camera. Those are steps everyone seems to forget. You’re going to see some sights, so a camera is absolutely necessary in order to capture those moments. If you want to go on a tour, you should book as soon as possible. Don’t wait until you’re about to leave for the tour to try to secure a spot, as we run (and we’re not trying to gloat here) a pretty busy operation that is well liked and well attended. So don’t wait, book now! If you are interested in booking a swamp tour with Airboat Adventures but want to know more about what you should bring to a swamp tour, you have found the right place! Let this blog post be your guide to New Orleans swamp tour essentials. Snakes, Egrets & Alligators, OH MY! Visit our Gallery page to see up close and personal pics of some of these amazing swamp creatures that you have the opportunity to experience on a tour. So now that you know what we have to offer, keep reading to find out what essentials you will need for your next New Orleans swamp tour! Sunscreen – our small and large airboats do not offer much protection from the sun, so it is important that you bring sunscreen, especially if you burn easily. We will be out on the water for at least an hour and a half, so it is a good idea to be safe rather than sorry (and in pain). 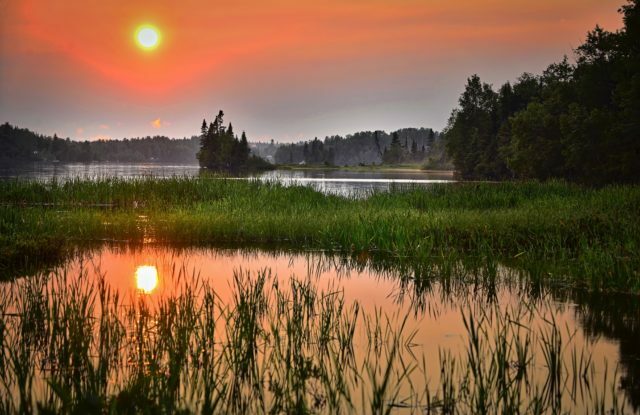 Bug Repellent – while the mosquitoes are not typically a problem on our swamp tours, we stand by the philosophy that it can’t hurt to come prepared! If you have that extra sweet blood that mosquitoes love, you may want to consider bringing bug spray. Cash – cash is most definitely an essential for your Airboat Adventures swamp tour. It allows you to tip your tour guides and to buy snacks, gifts, and drinks at our gift shop, as it is cash only. Camera – bring your camera so that you can capture the beauty of the swamp and its creatures. We recommend bringing waterproof cameras just in case of accidents! Comfortable Clothing – wear clothing that is appropriate for the time of year and that is comfortable. Tennis shoes or sandals are recommended for your swamp tour. Due to the high speeds of the airboats, you may want to bring a light jacket in the cool months and a thick jacket in the winter. Questions – Our tour guides love answering questions from passengers. Each one of them grew up hunting and fishing and are aficionados of all things Louisiana. If you have a question, they will have an answer. And if they don’t know the answer, they will most definitely give you a good joke. Last Step: Booking a Tour! Now that you are ready for your New Orleans swamp tour with Airboat Adventures, it is time to book a tour! You can call us at 504-689-2005 to reserve a spot, visit our Swamp Tours page for details regarding our tour packages, or book online here! Looking for Things To Do in New Orleans? Contact Airboat Adventures! New Orleans is a unique city that is rich in its culture, history, and entertainment. There is a side of New Orleans that many visitors to the great city do not get the chance to see- and that is the beautiful swamplands and wetlands that surround it! If you are looking for fun and interesting things to do in New Orleans, then go for an airboat ride through scenic southern Louisiana scenery with Airboat Adventures! Come join the outgoing captains and embark on an exciting high-speed airboat tour through the stunning swamps. The swamps are a dynamic ecosystem, supporting a variety of aquatic and moist-soil vegetation, as well as a unique wildlife population. 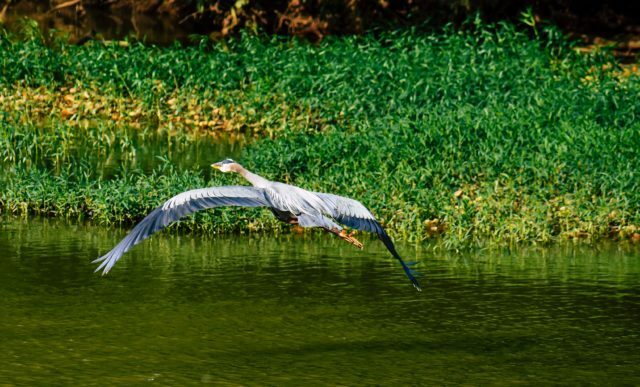 During your 1 hour 45 minute to 2-hour wildlife tour you will have the chance to see alligators, snakes, turtles, egrets, herons and ibis, and maybe even hawks, owls and the occasional bald eagle. What are you waiting for? Come embark on the adventure of a lifetime and book your airboat tour with Airboat Adventures today in New Orleans! Looking for Things To Do in New Orleans? Going on an exciting airboat ride through some of Louisiana’s most beautiful swamps and wetlands is an appealing activity for people of all ages and abilities. When you are looking for things to do in New Orleans, it can sometimes be challenging to find an activity that the whole family will enjoy. There are plenty of nightlife activities in New Orleans for adults, but finding something that everyone will love and that everyone can partake in can be a difficult task. Not to worry- take your family on the experience of a lifetime and embark on an airboat tour with Airboat Adventures! For approximately two hours, you and your family will get a first-hand look at the vast amount cypress trees that frame the swamps, and curving waterways that are partially shaded by the draping trees. You will have the chance to witness a variety of beautiful bird species from hawks to bald eagles, wild white-tailed deer and more. You will even have the opportunity to see alligators! Whether you are a local looking for things to do in New Orleans or a visitor to the Big Easy, an airboat tour through the swamps with Airboat Adventures in New Orleans is an experience everyone will remember! You can select from two boat options when you book your airboat tour with Airboat Adventures: There is the large boat that can comfortably seat up to 27 passengers, and the smaller boat, which can accommodate parties between 6 and 8 passengers. All of the expert guides at Airboat Adventures are Certified by the U.S. Coast Guard. They were all born and raised in Louisiana, and they all share a deep love for the swamp and everything found in it. The guides will share interesting information and facts with you throughout the tour, so you will be able to learn a thing or two about the swamps while you are out there. There is not a bad time of year to book an Airboat Tour; Winter can be a great time because the summer’s seasonal grass gets as high as six feet tall, but is only inches high during the winter months. Book Your Airboat Tour Today! If you are looking for things to do in New Orleans, look no further than an airboat tour through the swamps with Airboat Adventures! We offer airboat tours seven days a week and have various morning, afternoon and evening tour times available so, no matter when you want to go, the team is ready for you! Warmer weather and longer days are finally upon us and that means it’s a beautiful time to get outdoors and explore the incredible natural landscape of South Louisiana. While airboat tours are always in season, April is an amazing time of year to tour the swamp. Airboat Adventures offers some of the best airboats near New Orleans to experience the serene waterways and fascinating wildlife of Louisiana’s swamps. Whether you’re visiting the city for a French Quarter getaway or you’re a local looking for a day trip the whole family will enjoy, a swamp tour near New Orleans with Airboat Adventures is a must-do springtime activity. Want to take a trip off the beaten path of the city streets during your New Orleans stay? An exciting alligator swamp tour with Airboat Adventures can help make your vacation truly memorable and give you an authentic peek into another side of Louisiana’s culture. Our expert tour guides grew up hunting and fishing the legendary swamps of Louisiana. They have firsthand knowledge of the local habitat and exceptional variety of flora and fauna so they can answer just about any question you may have. In addition, our airboat captains are certified by the U.S. Coast Guard so, you can rest assured that you are in good, highly trained hands. Airboat Adventures is located just 30 miles outside of New Orleans and we offer hotel pick-up and drop-off for extra convenience! If you’re staying in the French Quarter and are interested in airboats near New Orleans to tour the Louisiana swamps, Airboat Adventures will take you on an unforgettable ride. Even if you’ve lived in Louisiana all your life, there’s still a good chance you may not have taken an airboat tour or held a baby alligator in your own two hands. If you haven’t had the opportunity to venture down the bayou yet, you’re missing out on an eye-opening perspective of the unique wonders your own state has to offer. Taking Louisiana alligator swamp tour with Airboat Adventures is a fantastic way to support tourism in your own state, and you may even learn a thing or two about Louisiana’s ecosystem. Our airboats near New Orleans will get you up close with the exotic creatures that call the cypress swamps of Louisiana home – from white tail deer and nutria to turtles and egrets. Bring the family on a high-speed airboat swamp tour and do something new together in your own backyard! When you want to see the real Louisiana, Airboat Adventures offers the best swamp tours near New Orleans. We’ve got you covered with several different tour package options that can accommodate parties of all sizes. We offer airboat tours seven days a week and have various morning, afternoon and evening tour times available so, no matter when you want to go we’re ready for you! Tours last approximately 2 hours so they are great for all ages. 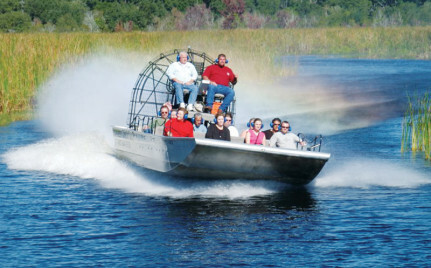 Airboat swamp tours are great choices for company work retreats or excursions with out-of-town guests. Call us at 1-888-467-9267 to book your New Orleans airboat swamp tour today! Embark on an exciting adventure you won’t forget with Airboat Adventures in New Orleans! Louisiana is home to some of the most beautiful swamps and marshes in the world, and there is no better way to see them than on an airboat swamp tour with Airboat Adventures. When you go on an airboat ride with Airboat Adventures you will get to experience the landscape of the deep south by taking in all of the fascinating sights and sounds of the swamps. The perfect activity for people of all ages and abilities, an airboat swamp tour provides you with a unique and interesting way to soak in all of the fantastic scenery in the Louisiana swamps. Round up your family and friends and schedule your airboat swamp tour with Airboat Adventures today! When you book a swamp tour with Airboat Adventures, you are not only signing up for the trip of a lifetime, you are also signing up for an educational experience for everyone! The airboat tour guides at Airboat Adventures are very knowledgeable about the swamps, and will be able to answer any questions you may have. All of the boat captains at Airboat Adventures are from the South and each one is extremely passionate about what they do. Airboat Adventure captains love being able to teach others about the place that they love to call home. The airboat captains will pass on their knowledge and interesting swamp facts that will surely impress you! If you are up for it, our more adventurous riders will even have the opportunity to hold a baby alligator during their ride! Whether you are visiting the great city of New Orleans for pleasure or for business, or if you are a local just looking for a different way to spend the day, Airboat Adventures is a fun excursion for people of all ages and interests! Guests love that they can interactively learn about the swamps and do so right next to their friends and family. You will be able to pick between two airboat sizes when you book an airboat swamp tour with Airboat Adventures. The smaller boat comfortably holds 6-8 passengers, while the larger boat can accommodate 15-27 people. These airboats will cruise beneath canopies of beautiful cypress trees and tupelo gum trees, providing you with an experience that you will treasure forever. Let the photographs come to life when you see the swamps first-hand with Airboat Adventures in New Orleans! A Stress-Free Airboat Swamp Tour with Airboat Adventures! Whether you are visiting New Orleans for fun or work, or are just a local looking for an interesting way to spend a day, an airboat swamp tour with Airboat Adventures is the ideal activity for you! While the hustle and bustle of the city is great, it is nice to get away from it all and see a side of New Orleans that most people do not get to experience. 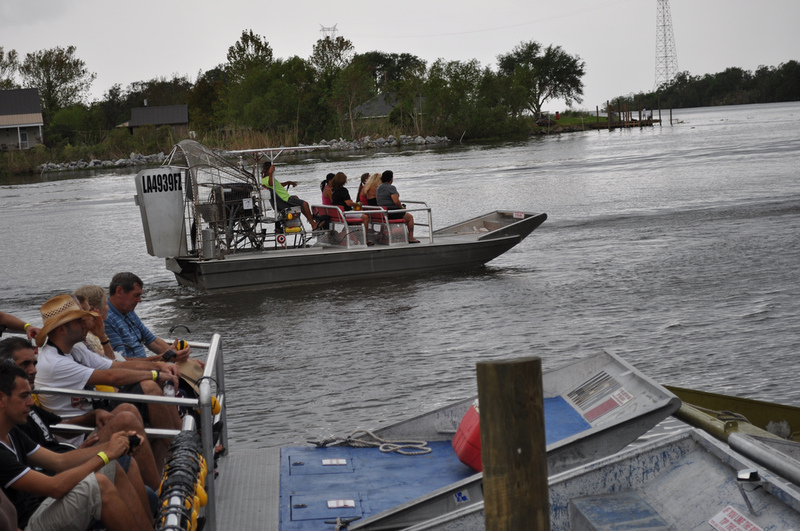 Airboat Adventures will even provide you complimentary transportation! If you are staying at a hotel in downtown New Orleans, one of their shuttles will pick you up for your tour and drop you off when the swamp boat tour is done. All you have to do is give them a call and they will arrange a shuttle for you. There are at least three New Orleans swamp boat tours running daily, seven days a week. The first tour begins at 9:45 AM, the second at 12 PM, and the third swamp tour begins at 2 PM. During the warmer seasons, Airboat Adventures will have two additional airboat tours running at 4 PM and 6 PM/ You can even request a special sunset tour! These sunset tours are perfect for a romantic evening where you can watch the scenery change right before your eyes. Book your swamp boat tour in New Orleans today with Airboat Adventures! Do you want to experience the Big Easy and all of the backcountry adventure it has to offer? You can give yourself a front row seat to all of the sights, sounds, and smells that make New Orleans the famed destination it is. Airboat rides and tours in New Orleans offer a unique perspective with plenty of memorable moments. Here are some experiences you do not want to miss. The French Quarter is a popular attraction in New Orleans. You can get a big taste of Big Easy cooking, music, and history here. The French Quarter is also within 30 minutes of nearby swamps and bayous. If you need a break from the noise and city life, the bayou boat tours offer the perfect amount of adventure and serenity. You may have seen bayous depicted in movies, but they cannot compare to the real thing. If you enjoy collecting a variety of photos and memories from one place, make sure you get a good balance of city time and bayou time. 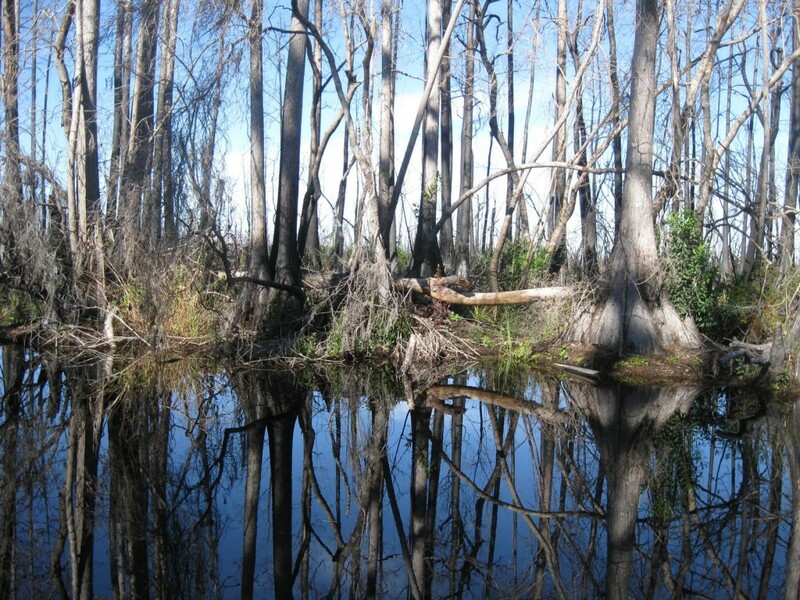 The swamp is a beautiful, mysterious, and diverse ecosystem that you simply have to see. It is home to endless types of moist-soil vegetation and plant life. After a short ride off the shore, you will feel like you have entered another world. You will not see another place like this, so make sure to bring your sunscreen and camera. The scenery of water, trees, moss, and wildlife is unbelievably rich, and you can see it all from the security of a speed airboat in a single tour. Whether you are an avid bird watcher or not, you will love the variety of birds you can see from an airboat in the deep New Orleans swamps. The South Louisiana bayous and swamps are rich with herons, ibis, egrets, hawks, owls, and bald eagles, though some of them are shyer than others. Your airboat tour guide can help point out and name the different birds you see. Don’t worry; you will never get too close to one of these infamous reptiles during an airboat tour. However, if you have always wondered what is was like to see an alligator in person then a tour will give you that chance. 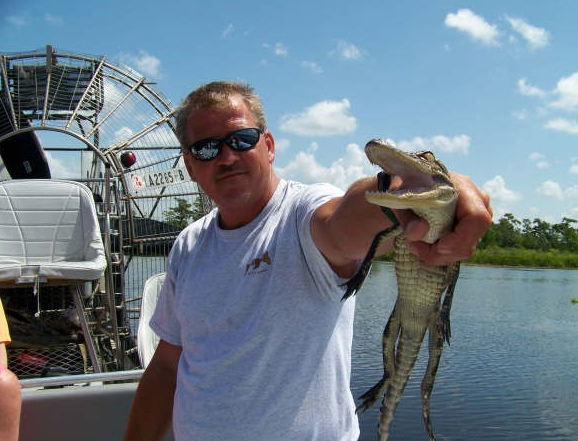 Airboat tour guides are knowledgeable about safety around alligators, snakes, and other creatures. You can take pictures and even get the chance to hold a tiny, baby gator. If you are looking for an activity that everyone in your group will enjoy, airboat rides and tours in New Orleans are the answer. The kids will love seeing gators and other wildlife up close, and everyone will enjoy being surrounded by scenery that feels straight out of a fairytale. Book your tour early and get ready to feed your adventurous side. The state of Louisiana is a place that contains an incredible amount of history and culture, and there are so many ways to visit and experience all that the state has to offer. One of the most iconic places in Louisiana is, of course, the city of New Orleans. Thousands of people flood to the city daily to get a taste of the food, hear the music, and see the historical places that made New Orleans what it is today. What people don’t often spend their time on or even realize, are the swamps and the wildlife just outside of the city. It is possible to experience these parts of New Orleans, and you can do it by taking a swamp tour at Airboat Adventures! Airboat Adventures consists a team of Louisiana Wildlife enthusiasts who are dedicated to showing people all of the other things that New Orleans has to offer, just in a fun and exciting way! Going on a swamp tour at Airboat Adventures is much easier than you think. If you’re visiting New Orleans and staying at one of the fantastic downtown hotels, it’s no problem. Airboat Adventures is just a s short distance from New Orleans and its famous French Quarter. One of the courteous staff members will pick you up and bring your to their facilities, about thirty minutes south of New Orleans for the start of your tour. Their affordable tours are also available for any size group that you may bring. Airboat Adventures has boats that accommodate parties as small as six to eight passengers. For larger parties, they have vessels that can carry fifteen to twenty-seven individuals. Airboat Adventures even has gift certificates that you can present to friends or family for a special occasion! If you love wildlife, a swamp tour at Airboat Adventures is just the thing! In a mere two hours, you will be able to see a wealth of wildlife in natural habitats, exotic creatures that will make your trip memorable. Imagine seeing animals like alligators, snakes, turtles, egrets, herons and ibis up close and personal. Large birds, such as various types of hawks, owls and bald eagles, often make appearances during a Louisiana wetland tour along with white-tailed deer, nutria, raccoons and other mammals. The Louisiana bayou is often considered a dark and foreboding place, but you’ll enjoy exploring the local swamps and seeing animals comfortably from the safety of one of the high-speed airboats that will whisk you to and from all of the best locales. New Orleans swamps are full of breathtaking scenery, with waterways taking you through pristine areas of gnarled tress dripping with Spanish moss. You’ll also view hundreds of exotic shrubs and vines, many of which are found nowhere else in the world! Start experiencing the real New Orleans today by scheduling a swamp tour at Airboat Adventures! You can learn more about the Airboat Adventures services and even find out how to schedule your tour by visiting their website! Get started today!